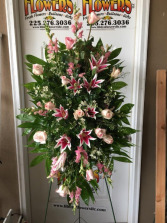 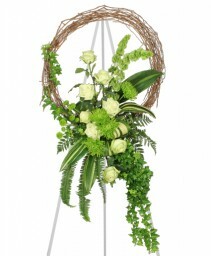 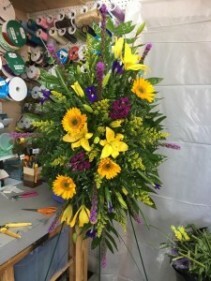 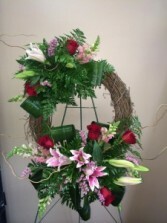 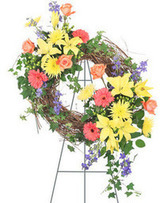 Stargazer Lilies and Red Roses displayed on a grapevine wreath. 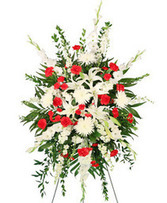 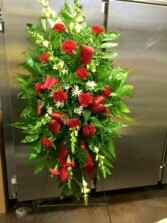 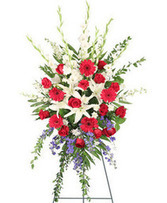 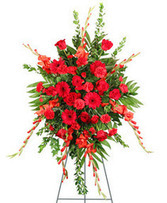 Red carnations mixed with white daisies and white snapdragons is a beautiful tribute. 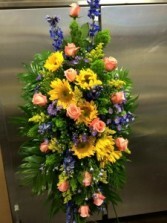 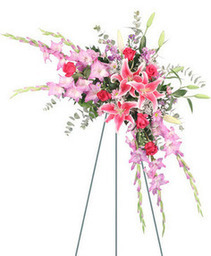 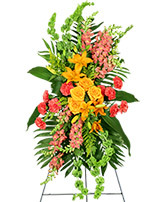 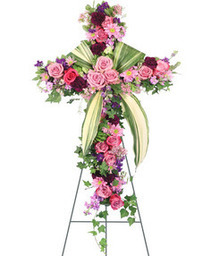 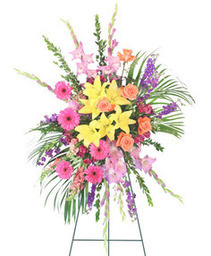 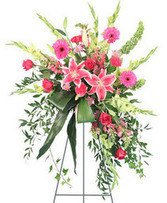 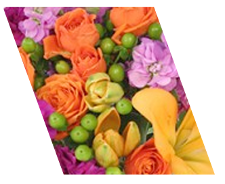 White Lilies and pink roses make up this beautiful spray. 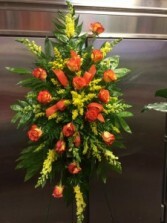 Bright Oranges and Yellows make this Spray a majestic piece. 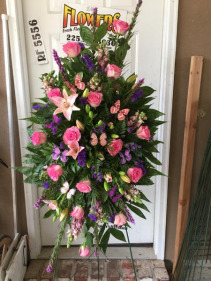 Beautiful butterflies with pinks and purples. 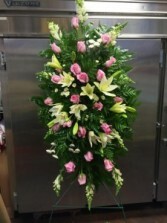 Soft Pinks roses with Stargazer Lilies.